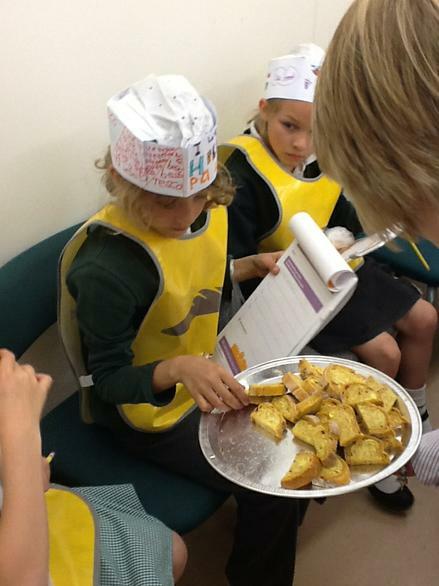 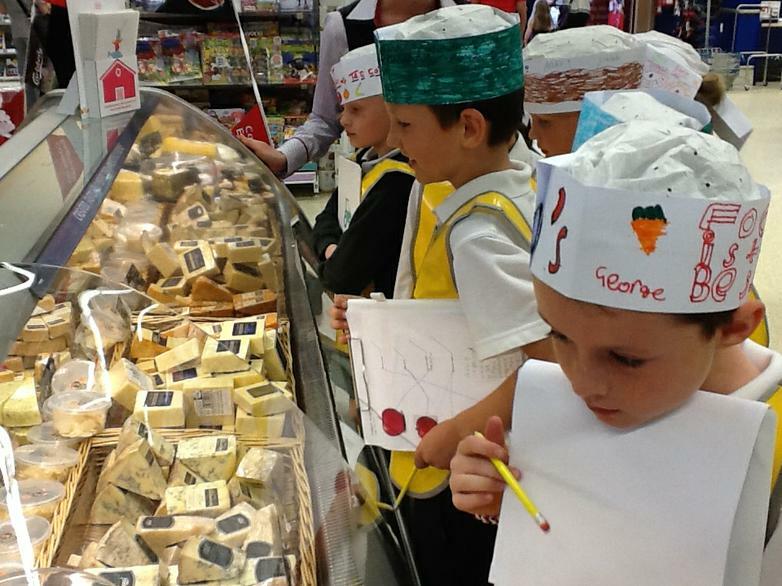 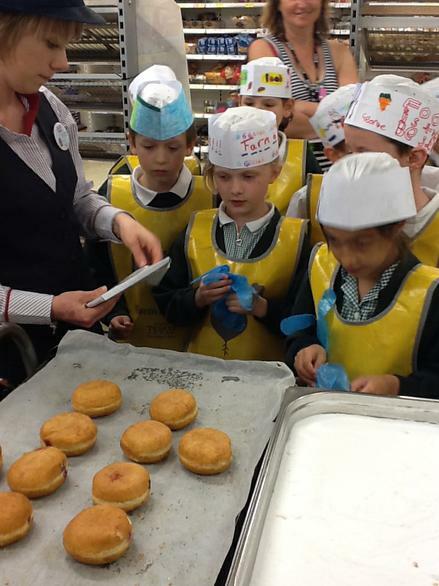 Children from Eagle class spent an enjoyable afternoon at Tesco on Wednesday as part of the ‘Farm to Fork’ project. 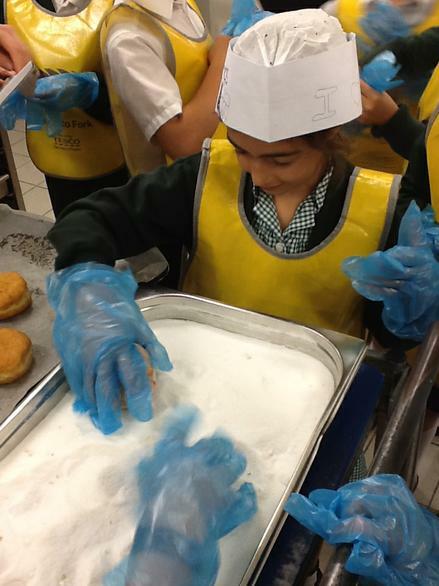 They looked behind the scenes at the food storage areas, including the huge fridge and freezer, learnt how to fillet a fish, tasted some delicious fruit and bread and especially enjoyed rolling a donut in sugar and then being allowed to take it home. 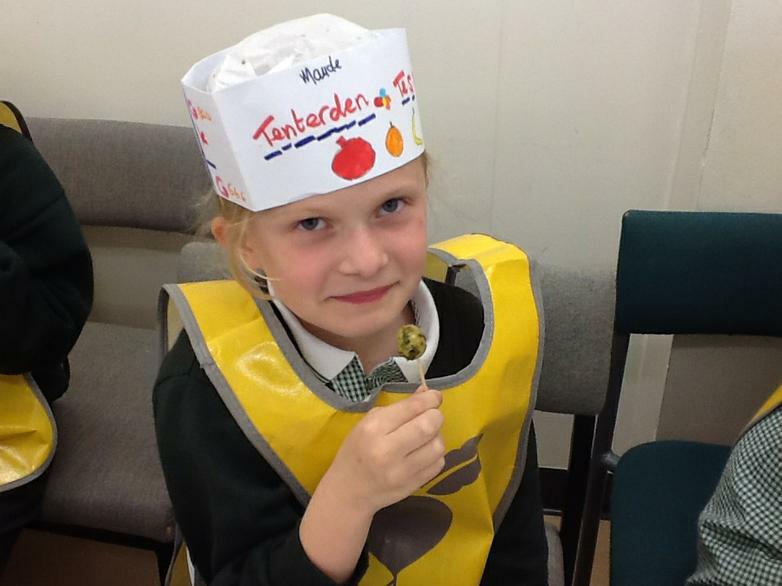 High Halden school were the first group of children to take part in this exciting community project at the Tesco store in Tenterden. 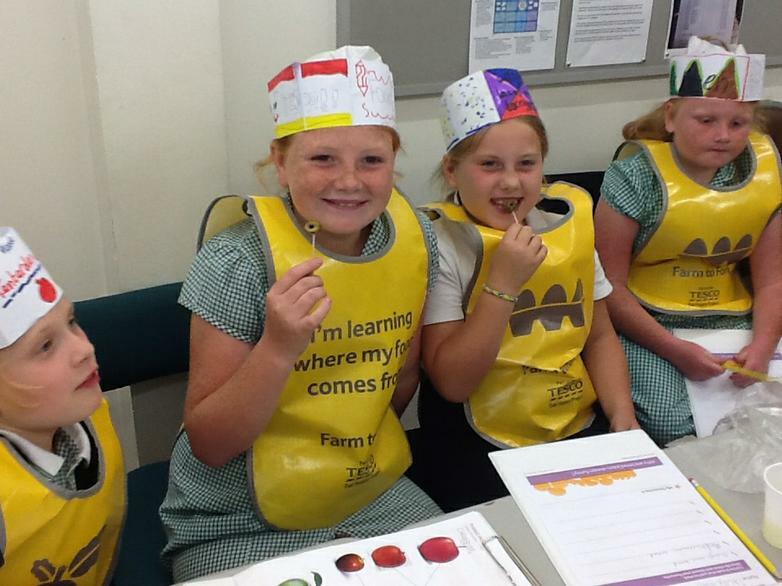 The children thoroughly enjoyed their day and the goody bag they received on their way out!